ARIFABID.COM Article In English blogging What is AutoCAD and how to learn? What is AutoCAD and how to learn? Do you know what AutoCAD is? This is what happens and where it is used. If you are from the field of engineering then you must have heard the word about AutoCAD. By the way AutoCAD is a computer-aided drafting software program that is used to create blueprints for many things like buildings, bridges, and computer chips. This is a 2D and 3D computer aided drafting software application, which is used specifically to prepare blueprint for engineering projects of architecture, construction, and manufacturing. Well, because of not having so much information about it in the internet, I thought today why you should give people full information about what AutoCAD is, so that all your doubts will remain clear till the end of the article. 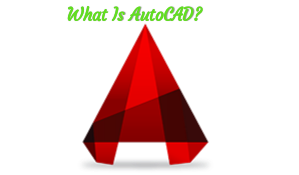 So let's begin without delay and know what is Autocad N Hindi. The full form of AutoCAD is Automatic Computer Aided Design. Its native file format is .dwg. This is a software that is used primarily to create engineering plans for building plan, architecture designs, construction and manufacturing. It is also called drafting application. This software was developed and marketed by Autodesk itself. For the first time, AutoCAD was released in December 1982 as a desktop app. At that time they were run in microcomputers which had internal graphics controllers. Prior to the introduction of AutoCAD, most commercial CAD programs were run in mainframe computers or minicomputers. In it, every CAD operator (user) used to work in a separate graphics terminal. Since 2010, AutoCAD has also been released according to mobile- and web apps, which were known as AutoCAD 360. Professionals who use AutoCAD are called drafters. AutoCAD This technical term is derived from a program that started in 1977, and in 1979 it was released as Interact CAD. It was used to refer to MicroCAD in earlier Autodesk documents. The first version of Autodesk was first demonstrated in 1982 Comdex and released in December. According to autodesk's flagship product, AutoCAD became the most popular and ubiquitous CAD program by March 1986, all throughout the world. Let's talk about it now, in the year 2019, the 33rd major version of AutoCAD was released for the Windows operating system. How to be Best Computer for AutoCAD? Not only AutoCAD but all the softwares which fall under the Autodesk umbrella are all resources intensive and therefore they require a powerful computer to run. Because many things have to be handled in AutoCAD such as all 3D modeling, civil and architectural tasks and so on. In such a situation it is very necessary to have a good computer system to run smoothly. Where ordinary users and engineers require minimum specifications of the computer to run CAD, then if you do multitasking, then you need a high-end PC. This allows you to get very seamless and lag-free performance and your productivity will also increase. AutoCAD is not a small course. If you want full knowledge then it would be better if you have any institution involved. Or you can also get help from YouTube. Here you have a video of a basic course, which will help you to teach it. How many courses are related to AutoCAD? There are many courses of AutoCAD, depending on which type of course you want to do. According to the time and expertise of the mean, they have been divided into the following types. Introductory courses provide basic knowledge of AutoCAD's interface, menu options, toolbars and operational commands to students. In this course students are given the opportunity to observe how professional drafting projects are created and executed. Along with this they are also educate about how to create their own 2D designs. In addition, learning, drawing, editing, layering and plotting are taught in Basic skills. After getting started in the introductory instruction AutoCAD, the training of intermediate level AutoCAD skills is provided to students. There are many things in it like hatching, dimensioning, cross-references, tables and block attributes. Students are introduced in 3D designs and drafting skills are taught with which to help themselves prepare for advanced AutoCAD training. Advanced AutoCAD courses mainly focus on 3D designs, in which it is used to navigate navigation and modeling tools to create 3D drawings. Students learn many concepts in it such as lighting, mapping and solid-model creation. In the course, students are also trained about importing and scanning images of 3D models. This is a course that produces graphics production in which it is demonstrated how AutoCAD is used in illustration and web design projects. Students use AutoCAD jointly with other software such as Adobe Photoshop, Adobe Illustrator and Autodesk Impression software. Talk about skills, then training of correcting photographs, manipulating, depth of field, and creation of special effects etc. is given. AutoCAD courses are also available in AutoCAD and Autodesk certificate programs. Students have to complete these training programs online or from a traditional classroom format. There may be only a comprehensive course in the AutoCAD training programs, in which there is progressive instruction from basic level to advanced skill levels. These training programs have to be completed during a specific period. Some of the most popular topics of AutoCAD that the Engineers prefer most. 3D parts, UCS, Boolean operation, Solid Editing, etc. Is not it necessary for AutoCAD to have Engineering? There is no need to be an Engineering Degree for AutoCAD. For this you should have the understanding of running only computers. If you have a little technical knowledge then you can easily run AutoCAD software. Well if you have Engineering Degree, then it will be easier for you to run AutoCAD as it is already taught in the subject of Engineering. Together you can also help in the designs of some diagrams. The work of architects is to present the designs of architectures such as buildings, houses, bridges, monuments. 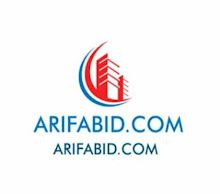 They work directly with clients so that they can fulfill all their needs and requirements. With this, they also develop the plans needed for construction. Most architects use AutoCAD only to prepare their designs. Talk about jobs prospects Then the architects need in all the fields, whether they are naval architects, building design architects, they are government or private companies employed. Their salary depends on their skills and experience. The main task of interior designers is to design the interior of buildings. When the building is ready, what will be its interior designs? Along with this, they have to take special care of building codes and other safety regulations while designing interiors. Most interior designers use this AutoCAD for designs because it is easy to use and together with it there are many features that guide the designers to use them properly. They get employment in many Private Constructional Companies and Real Estates Companies. Let's know about the basic commands of some AutoCAD keys. I hope you have understood about how to learn AutoCAD. If you have any doubts about this article in your mind or you want some improvement in it then you can write down comments for it. With your thoughts, we will get a chance to learn something and improve it. If you have a good idea in Hindi or this has been taught to you, please share this post on social networks such as Facebook, Google+,Whatsapp and Twitter to show your happiness and eagerness.